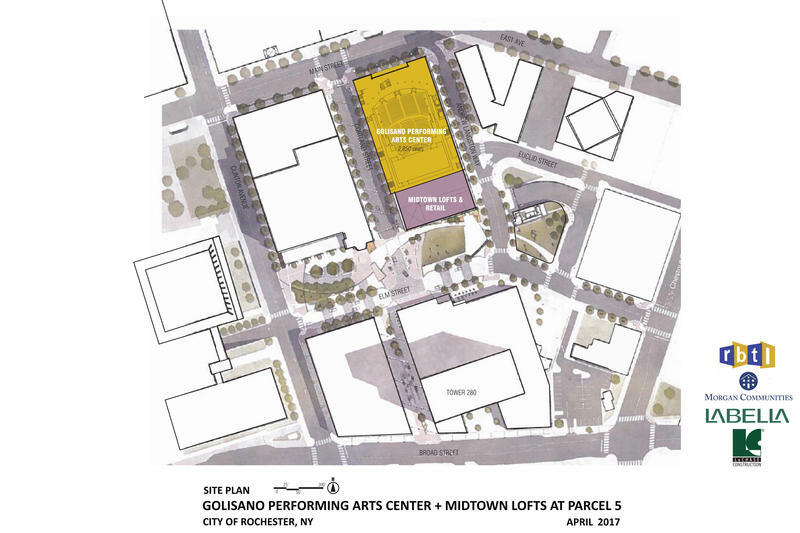 The longtime questions of what will be built on Parcel 5 in downtown and where the Rochester Broadway Theatre League will build a new performing arts center were both answered at the same time Friday morning. RBTL will build a new center on Parcel 5 at Midtown, it was announced at the Tower280 building. 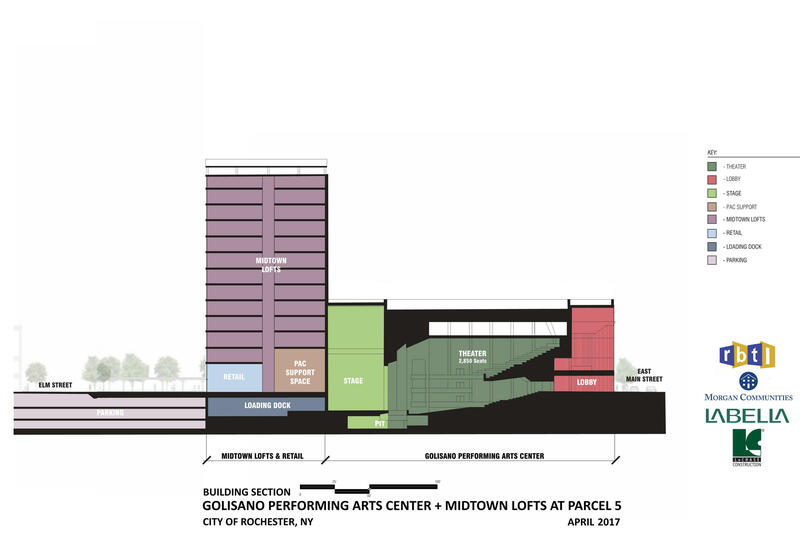 The Golisano Center for the Performing Arts and Tower will be a joint venture between Morgan Communities and the RBTL. 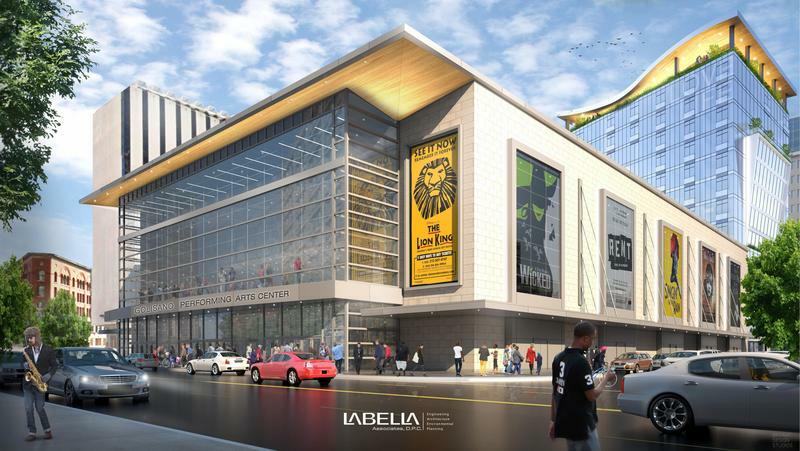 The project is slated to include a 3,000-seat performing arts center, housing, retail, restaurants and more parking for patrons, and will cost an estimated $130 million. Paychex founder and philanthropist Tom Golisano pledged $25 million to the project. The project aims to create “the equivalent of 610 full-time construction jobs” according to a release from the city of Rochester, and 166 permanent jobs once the project is completed, and Warren announced that Morgan Communities has adopted a “Rochester First” hiring policy. The mayor stated that Morgan also has committed to the “Rochester First” hiring policy for any new tenants that will move into the project’s commercial spaces. Warren said the project will reinvigorate the city center and be an anchor for new development. RBTL projects that the center, named the Golisano Center for the Performing Arts, will book $18.5 million in ticket sales a year, and have a yearly economic impact of $55.5 million for downtown Rochester. While Golisano has pledged $25 million, the rest of the funding for the project has not been secured. Morgan Communities and the city say they are confident they will acquire the funds to start construction.